The dandelion is known by many unusual common names, not the least of which are dog's lettuce, monk's crown and swine's snout. In France, the herb is called pissenlit, while in England's countryside the term “piss-a-bed” is a reminder of the reputed effect of dandelion root tea on the bladder. 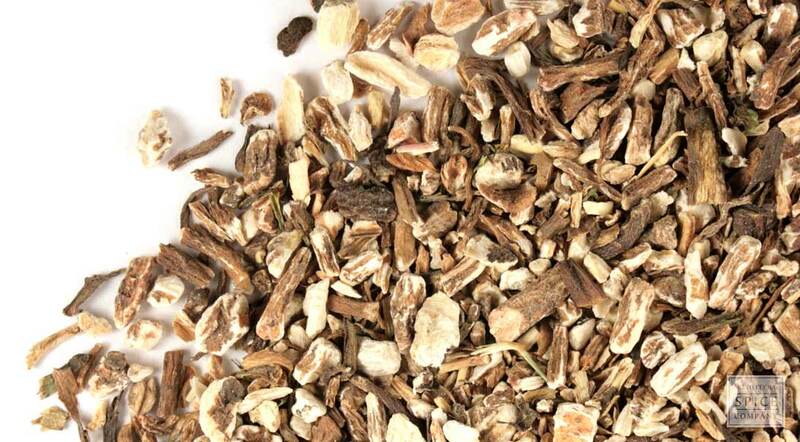 Use dried dandelion root, alone or with other herbs, to make herbal tisanes and teas. appearance & aroma Woody roots with a mild, earthy scent. cosmetic Incorporate dandelion root infusions in skin washes when an astringent effect is desired. culinary Use in tea blends and as a coffee substitute. Dandelion root is also commonly used to prepare cleansing tonics and digestive bitters. safety Use with caution if you have a known allergy to other plants in the daisy family, such as chrysanthemum or ragweed. 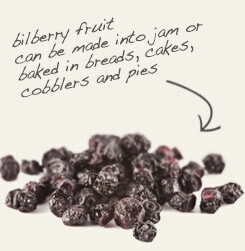 Pair with bilberry fruit in tea and “coffee” blends. 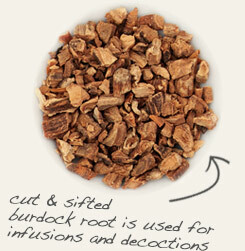 Combine dandelion root with burdock root to prepare digestive herbal bitters. To many people, dandelion is a nuisance weed that readily invades lawns and patio crevices. While the plant does indeed have exceptional survival skills, it is also globally recognized as a useful herb with potent antioxidant and nutritive qualities. The entire plant is edible and is a good source of fiber, protein, B complex vitamins, vitamin C, calcium, iron, magnesium, phosphorus, potassium and zinc. Dandelion also provides a significant amount of beta-carotene, which the body uses to produce vitamin A.
Dandelion root contains taraxacin and other bitter principles that are responsible for the herb’s astringent effects. The dried root is traditionally used to prepare tinctures and tonics, including herbal bitters that are taken before or with meals to stimulate digestion.